You are at:Home»Lifestyle»Travel»Eat, pray and love in Bali! Eat, pray and love in Bali! The Indonesian island of Bali is famous for its spectacular sunsets, many temples and sacred historical sites. It is a magical island and one of the finest tropical destinations in the world. How to get there: You’ll need to fly to Bali via Dubai or Singapore and catch a connecting flight to the island. Whichever way you choose to go, make sure you visit PriceCheck’s website to find the best deals on the cheapest flights. Visit Besakih Temple and Tanah Lot. Known as the ‘mother temple’ of Bali, Besakih Temple is a must-see. It graces the slopes of Mount Agung and is the largest of all the Balinese temples. Tanah Lot, perched on a rock surrounded by ocean, is the island’s most iconic temple and pays homage to the guardian spirits of the sea. Be sure to take your camera so you have lasting memories of these spectacular sites. 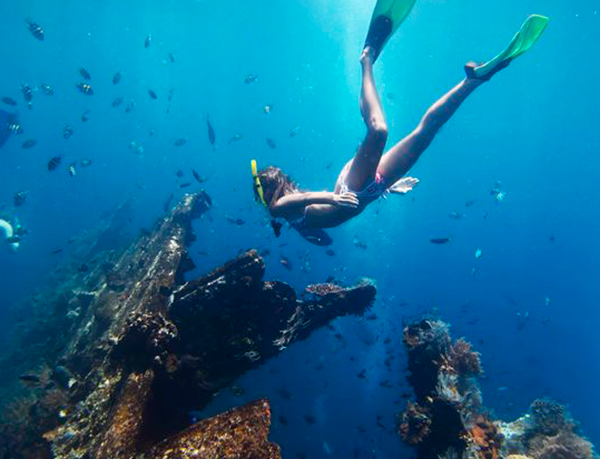 Dive to the USAT Liberty wreck. 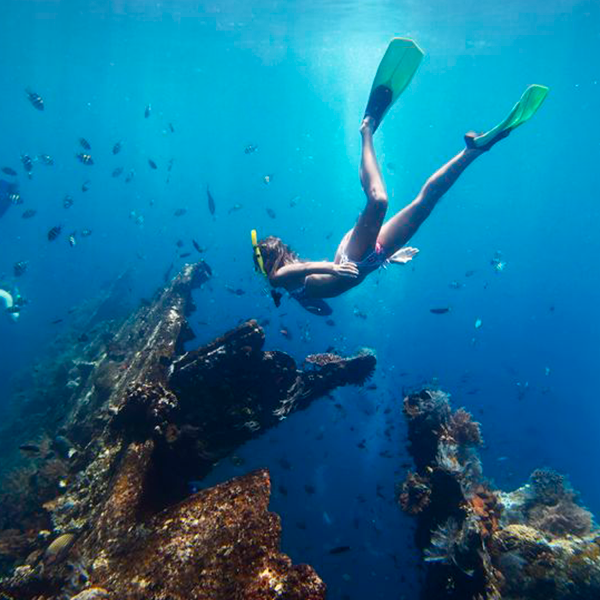 Bali boasts with wonderful diving spots and undersea treasures. Put on your diving gear and sink into a watery wonderland to discover the array of fish and corral that have made the USAT Liberty – the wreck of an American supply ship sunk by a Japanese torpedo during World War 2 – their home. Go elephant trekking. Enjoy a 30-minute trek on the back of an elephant while you take in the beautiful and unique landscapes of Bali. Hike up Mount Batur. Embark on the 1 700 metre climb to the summit of Mount Batur, a volcanic mountain that rises over a beautiful lake. The climb is not very physically challenging and should definitely be on your to-do list. Go white water rafting on Ayung River at Sayan. Experience the heart of Bali by rafting down the Ayung River, taming wild rapids and cruising past tranquil rice paddies along the way. It’s a great way to discover what makes the island tick. Pedal around Ubud. The best way to explore Ubud, a town that gained popularity through the movie Eat, Pray, Love, is by bicycle. So hop on and join one of the many cycling tours where you can explore the bamboo forest, visit Penglipuran villages, ride past temples and make your way through the rice fields. Eat traditional food. Although Bali boasts high-end restaurants, you shouldn’t miss the opportunity to tuck into some of the traditional food on offer. Babi Guling (spit-roasted pig), Ayam Betutu (slow-cooked spiced chicken in banana leaves) and Sate Litit (spiced mince and lemongrass sticks) are local favourites every tourist should definitely try!